View a full transcript of this podcast at the bottom of this article. 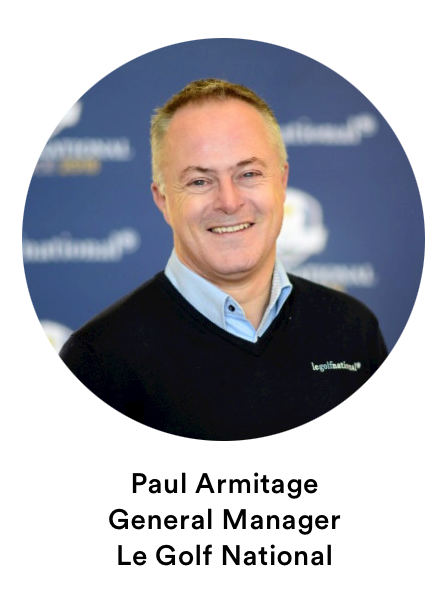 On today’s episode of the Golf Industry Podcast, Matt Welliver talks to Paul Armitage, general manager of Le Golf National. 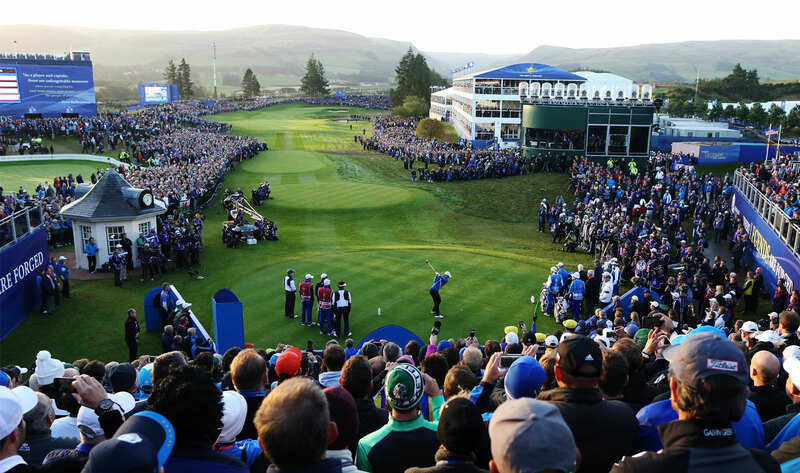 This year the venue will host the Ryder Cup. In the podcast Armitage shares his insight on how he runs a world-class golf course and his vision for the future. 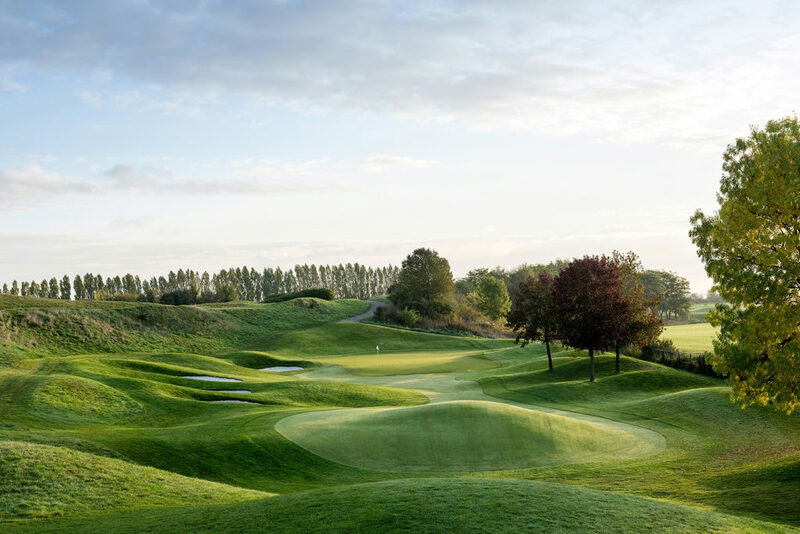 Le Golf National is a 3 course facility, offering two 18-hole courses and one 9-hole course. The Ryder Cup will be played on the prestigious Albatros course, next week. Paul started his job in 2014, a time when the French golf course was going through a complete overhaul of its business plan. During that time, golf in France was not well recognized. Le Golf National was a high level facility but it was facing the issue of not being a very viable business. The golf course was providing overly traditional golf experiences for its regional players instead of focusing on creating a real identity that would appeal to an international crowd. All three courses were being marketed and operated in the same way, even though they all had the potential to attract different customer groups. Positioning the different courses to attract different markets was crucial to maximizing the number of rounds played. One of the main issues was that, prior to the big changes, the facility’s only focus was building and maintaining the physical grounds of the courses. Obviously, this is a crucial area to focus on when managing a golf course, but in order to really create a successful business that golf enthusiasts will put on their bucket lists, an enhanced customer experience needs to be created. These changes have paid off immensely. Since 2014, international guests have increased by 15times and merchandise sales for the Ryder Cup and the Le Golf National have increased dramatically. This growth stems from the new brand image, the addition of services, and the accessibility of products through the eCommerce website. Of course, Le Golf National receives a huge boost in visibility from having players like Tiger Woods play on their course for the world to see. But there are still some key takeaways that golf course managers at smaller facilities can take from Le Golf National’s strategy. The French golf facility is a prime example of how a golf course can maintain a high class reputation while modernizing its processes. The innovation process at Le National is not over. Soon the 9-hole course will make a push towards automation when it comes to tee time reservations, payments, check-ins, and pro shop purchases. Using modern golf management software, Le Golf National will be able to remove much of the staff needed, leaving only a starter on the first tee. The physical pro shop is only going to be open a few days a week, but their online store will allow players to shop 24/7. The decreased money spent on staffing can then be invested into improving and maintaining the grounds. The 9-hole course will be able to achieve a low price point while offering a much higher quality golf experience than other courses in the price range. Le Golf National will be to target both casual golfers and serious golfers who may not have the time to play a full 18-hole round. Golf managers around the world can leverage new golf software technology to implement a similar business plan at their operation. 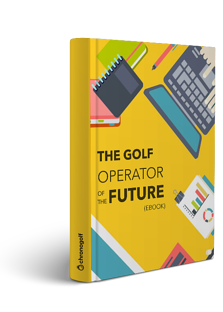 Being an early adopter of this new philosophy will allow you to penetrate a new market of golfers, who you can turn into loyal customers. Matt: Welcome to the Golf Industry Podcast, where it's all about sparking conversation around technology as it applies to the golf industry. Today's episode is brought to you by Chronogolf, an innovative, powerful, and affordable club management solution. Quickly and easily bring your club up to speed with their unique technology designed to ensure your club has the best tools to succeed in today's market. Visit pro.chronogolf.com/demo to start your free trial today. Matt: In today's podcast, I speak with Paul Armitage, General Manager at Le Golf National, and the host of the Ryder Cup this September 25th to September 28th. We discuss the journey Paul and his team has taken to get ready for one of golf's greatest events, and what the future looks like for Le Golf National after the big event. With the teams all set and confirmed, we also get Paul's prediction of who will win the Ryder Cup. Matt: Welcome Paul in joining me for today's podcast all the way from France. I had the great pleasure of meeting you briefly a few years ago, and just recently in person at the MCO retreat in Chicago where I learned about the journey that's been taking place and that you've been preparing for the Ryder Cup for Le Golf National. 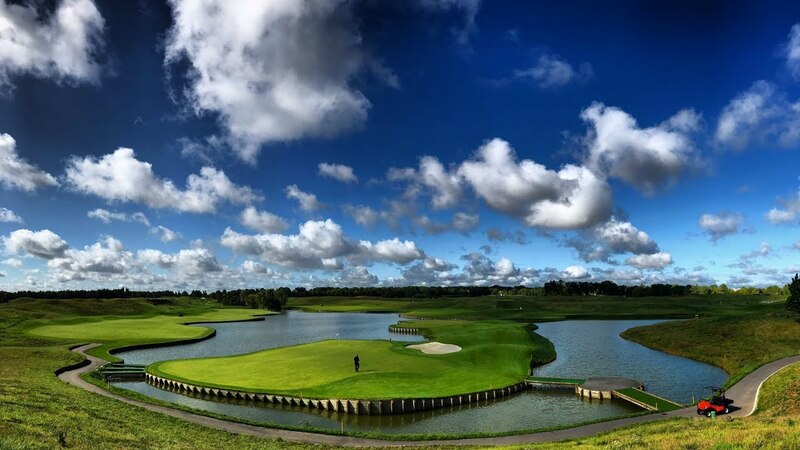 For the listeners, Paul is a General Manager of Le Golf National located just outside of Paris, which is the host venue of the Ryder Cup coming September 25th to 28th this month. Welcome Paul. Paul Armitage: Thank you, thank you for having me. Matt: Oh, my pleasure, really excited to have you on this. I'm going to say it'll be a bit of a different type of podcast than I typically do because normally I like to talk about technology, and data, and all that stuff. But really what I'm excited about in hearing from you is just about this awesome, amazing journey that you've gone through and the timing that it's taken. But maybe before you do that, maybe how did you get into this incredible position to be where you are and to be hosting Le Golf National, but being one of the key people there at the facility? Paul Armitage: Well, the easy answer to that one Matt is I applied for a job. That's as easy as it goes. Very, very early in 2014, which is not really a long time ago, I heard that Le Golf National was wanting to go through a period of change, and they'd already changed the superintendent who was taking care of the golf courses just maybe six months before. They also wanted to position a more international oriented general manager, and so they were going through a search for that kind of person and character. No, generally speaking I just applied for a job. The job description when I saw it, general manager, and the kind of missions that they were looking for, it just sprung out to me that I probably ticked a lot of the boxes and had a chance. And on a personal note, I was very much ... I'm a golf fan, I've been working in the golf industry since 1991, and it just had that extra bit of me being a completely crazy Ryder Cup fan as well. Matt: Well, that's good. Did you know back then in 2014 that there was this thought of the Ryder Cup coming? Paul Armitage: Yeah, I mean this has been a long process. France actually found out, because it's a nationwide bid. In 2008, a guy called Pascal Grizot, who is Vice Chairman of the French Golf Federation, he went into the office of the then Chairman of the French Federation and said, "Look, golf in France is not very well known, we need to get a major event here. We're not going to get one of the majors unless we invade Britain and get the British Open here, or the American's are not going to hand over one of their three majors, so we need a big event. And the only big event, and probably the biggest, is the Ryder Cup, let's bid for it, let's go for it. Let's get in contact with the Ryder Cup Europe and the European Tour and let's try and get it to France." So he set off on a journey in 2008, which took three years of lobbying and putting together that offer, which was made to Ryder Cup Europe. And in 2011 it was announced that France, Paris, Le Golf National had won that bid. Paul Armitage: Yeah, a lot of people working on that project a long time before my time. Paul Armitage: 2011 to about 2014 when I joined, most of the focus in Europe was on Gleneagles if you remember. Gleneagles was four years ago in 2014. And so not a lot was happening here, and our business model and our focus on customers, and just basically the positioning of Le Golf National needed to be changed, and that's why they changed manager. That's it basically. Matt: Gotcha, wow. That would've been kind of neat just to be seeing and knowing that you're applying for a job that's going to be hosting the Ryder Cup and how critical and important this position is that you're applying for to be. Right on. Talk to me about the journey. You walked through it a little bit with a bunch of us in Chicago, but if you had maybe a three to five minute version of that. Matt: It was really intriguing. Paul Armitage: I mean, to cut a very long story short, part of the problem that Le Golf National was encountering, this is a public facility. It's very much a national federation, it's like the USGA owning a golf course. Well, they're running it themselves as an association and a federation running sports events and things like that. So this is the national facility owned by I would say all of the golfers in France. It was being run in a way where it wasn't very focused on its own business plan, it was kind of accepted as being a facility which was very high-level, but just didn't look to make itself a business viable project. It was costing quite a bit to the federation, it was having a problem to give itself a real identity as well. Paul Armitage: Because on-site here, for those who don't know it and will visit, is we have an absolutely outstanding championship of world class standards called the Albatros Course, where the Ryder Cup will be played and we have the French Open every year, which is on the European Tour. But we also have two other golf courses on-site, we have another 18 hole golf course, which is a wonderful heartland golf course, but not up to the architectural standards of the Albatros. And then we have another nine hole golf course. 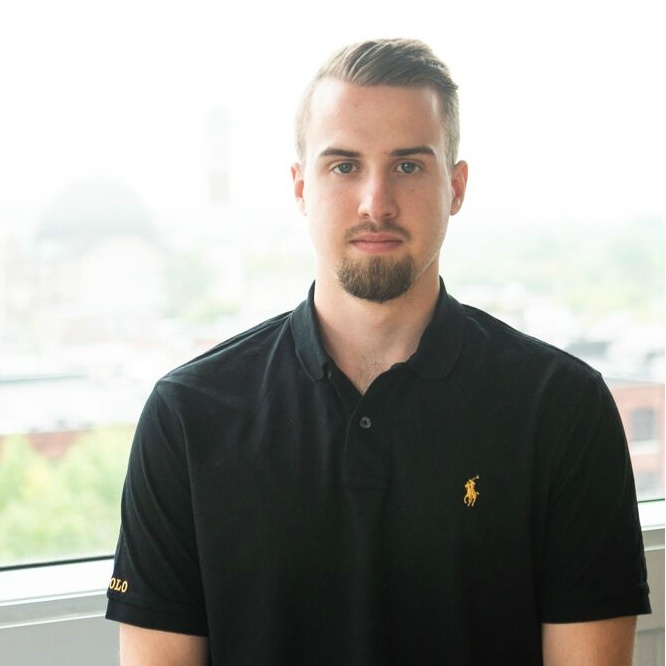 We were selling all of those three golf courses in around about the same manner, so there was no differentiation in experience, and customer experience, or customer journey. It was very local and regional oriented, we didn't really look for international guests or open our minds and spirits to all those people who would, once it becomes a Ryder Cup golf course, would put it on their bucket lists and want to travel. We've had to go through a major overhaul of the way we think, the way we look at our own standard services. Paul Armitage: Let me just give you one example, in America or Asia, having a buggy on a golf course is just natural. "Why would you have a golf course without buggies? Or why would you have buggies without a golf course?" Well, we didn't have one in 2014, so how would you want to welcome and explain to international guests that you have to walk? We didn't have caddies, and buggies, and things like that. So we brought in numerous amounts of services into Le Golf National, we've upgraded our standards. The golf courses were already very well maintained, but everything around the rest of the experience from coming into the car park to going home was just missing. We brought it in. We didn't have an English speaking staff, so we've had to bring in a culture of international hospitality and leisure. Yeah, that's basically the journey we've been on is changing 180 degrees our business model and the way we approach golf as a business now instead of just being a sporting facility. Matt: And this was interesting, I remember you mentioning something about this was built on a landfill, correct? Paul Armitage: Yes, yeah. Absolutely, yeah. Yeah. The golf course opened in 1990, and in 1986 the French Federation detected, found a piece of land, which was close enough to Paris to be convenient, but not too close to be too expensive. The land was very flat agricultural land, it was just corn fields. We're sitting on 150 odd acres here, and the land was rented to farmers from the local council. So we're actually on the municipality's own land, which they rent to us. We've got a 99 year lease, and we've had nearly 30 of those gone, but we've still got another 70 years left to stay here at least. I mean, it could be renewed for another 99, but we won't be around to know about it. Yeah, the whole complex is built on an artificial landscape. And where did all the land come because it was flat? Well, it's a dump basically. Paul Armitage: It's a site where all of the roadworks in the local areas within like 30 miles around would come here and dump, rock, soil, land, everything they excavated to build railways, buildings, and highways. And that waste material, which is all natural kind of waste material, we're not talking about anything [inaudible 00:11:27] or anything, it's not garbage. But all of that waste material, natural waste material, was then shaped into what you will see on TV at the end of the month for the Ryder Cup, into a natural stadium golf course. Paul Armitage: You would never believe that it was flat and just corn fields before. When you see it now there are lakes, and every hole is a stadium-style hole where you can stand up high in the hills and on the slopes and watch golf, look down on the golf, and admire the best players in the world from 25th to the 30th of September. So yeah, from some of the points of view you may get on cameras you'll still be able to see on the horizon, corn fields, because they're still next door. Nothing else has been built. We are a greenbelt protecting the natural area south of us from urban spread of Paris. Matt: Hmm, that's very intriguing, and I guess fortunate too to be able to have all that, and it kind of adds to the experience and to the journey and the culture of this course. That's really cool. I guess just from an economy standpoint, so far to date with having the hype and the buildup coming up to it, how is that? Is there already some uptick in the economy and people coming in to check it out? Paul Armitage: Since 2014, I'll give you one figure, which speaks to itself really. Our international guest program, the amount of guest coming over through their individual travel or through tour operators is 15 fold up. Paul Armitage: Yep. 15 times more international visitors including guests from North America, whether it be the US or Canada, is way up. That was the kind of strategy we were looking for for the Ryder Cup course anyway, was to take it to a new level and a different kind of customer base, and local guests. We wanted to make it more of an exclusive experience than people coming in playing it three times a week. So that has happened, that has been a very successful turn in our business for us. 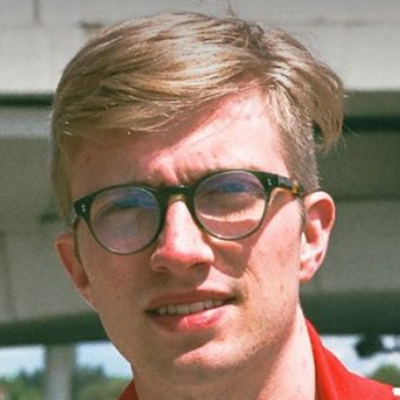 Also, another thing that has worked quite well for us, but more on a local international guest program, I want to say people from the UK, and north of here, places like Belgium and The Netherlands where you can drive within three hours, four hours to get here, which is nothing for American drivers. And another is our merchandising sales as well on-site, which have gone absolutely wild. I mean, the Ryder Cup brand, both sides of the Atlantic, is just a massive brand now. Paul Armitage: Yeah, that was one of the first things we did. We've redone our website in 2015 within the first semester of 2015, and on top of that we bolted on iPhone applications. We've also done a web-shop, which has been very successful for us as well, which is taking some of that merchandising out of our pro shop onto the internet and into people's homes 24 hours a day, seven days a week. The other game plan or strategy which we set out on where we are way behind you guys in the US, is taking credit card numbers for tee times and prepayment tee times, online sales, and things like that. We're way behind you guys even in the hotel industry in Europe. You would never be able to reserve a hotel room without giving them a credit card number, and you could still do that in golf here. We've taken that kind of issue seriously, and our online sales also have gone through the roof. Matt: Okay. Fantastic. Interesting. I guess you were kind of mentioning earlier about the experience and kind of building this up. What are the long-term plans once the Ryder Cup is finished? Matt: With the three different golf courses, is it going to be keeping one more that prestigious course? Paul Armitage: Yep, yep. I'll not give you all of our secrets, as we have several ideas, ha, ha, ha, which we want to keep close to our chest. We're going to be launching some brand new products in January, so maybe we might be doing another podcast, January, February, [inaudible 00:16:37] revolutionary product, which we're going to be coming out with. But generally speaking, for the Albatros Golf Course, which is now an international destination, it's a Ryder Cup destination in a couple of weeks time when the Ryder Cup happens we're hoping. And especially with the announcement that Tiger Woods will be playing, we're hoping for a lot of emotions, maybe some tears, a bit of anger, some excitement. All those legacy images will help us to promote the place and keep it in people's minds for many, many years to come. Paul Armitage: That's one area which we will be playing on to keep us high up on people's agenda and bucket list. When people come to Europe people want to play St. Andrews, they want to play Troon, they want to play different golf courses which are on the open road here. Well, now they can just hop across quickly within an hour's flight and get here, and now we're on the world map. It's just massive for us. The only other place in Europe which has had a Ryder Cup, outside of the British Isles, is Valderrama of course in Spain. So we're in that league now and we want to stay in that league. We have a plan, a strategic plan for major sporting events. I can give you a scoop Matt, which signed off last week, is we will be hosting officially now the 2022 World Golf Amateur Championships here. Paul Armitage: Thanks. Those Amateur Golf Championships have already been played here at Le Golf National in 1994, just four years after the golf course opened, and it was won by a young man at that time who was an amateur called Tiger Woods. So he's already played here. Paul Armitage: Yes. Yes. You probably know, but I think we've got to use this as a unique selling point for Le Golf National, is that Paris, on the 13th of September in 2017 last year, was awarded the Olympic Games. Golf is an Olympic sport, and the Olympic Games and the golf will be played here in 2024 as well. We're going to be the first ever golf course on earth, on this planet, to host the Ryder Cup and the Olympic Games. We're going to use major events to keep us in the international travel market range, with a high-end golf experience. You'll come here, and everything you need is here on-site. And for our other two golf courses, we are going out into a new strategy which will be of interest to you guys on our small nine hole golf course. We're going to go fully automated. Now, what do we mean by fully automated? Paul Armitage: From January 2020, we're not going to have anymore staffing and no more pro shop down there. It's all going to be automatic sales, online sales, and turn up at the first tee with a starter. We're going to automize it. Why are we going to do that? It's because we want to go into high-end maintenance at the golf course, invest in that part of the business so you get the best possible experience on the golf course. But, for those looking for a cheaper round of golf, or more accessible round of golf, then we're going to take away some of the services which you traditionally get in golf courses, and we're going to make it into more of a funkier, funnier, low-cost, Spirit Airlines, or here in Europe kind of Ryan Air, or Easy Jet kind of experience, where you can bolt on on top of your cheap green fee, services if you need them, but we're not necessarily going to oblige you to consume them in a full price. We're going to try and do something quite new, and modern, and funky, to reach a new market. Paul Armitage: By taking out ... What we're going to do, and I don't mind sharing this, is we're going to have a real physical presence, kind of a pro shop presence, on a Wednesday, Saturday, and Sunday in 2019, because we have a lot of families and kids in our golf school who would not understand a brutal approach of a change like that. But the rest of the days it will just be prepaid and turn up and get checked on the golf course basically. You'll check in via an app and that will give your position on the golf course, on the first tee, and then we know you're there. But the rest of the week we won't have necessarily all of the attention and the services [inaudible 00:22:14]. It will exist, but it will exist at our 18 hole golf course reception area because we have two reception areas. So there is a physical presence every day, but you don't need it for a nine hole quick round of golf where you've just got a couple of hours in between a lunch time, or after work, or whatever. We feel that we were probably servicing a nine hole cheaper green fee too much, and we're not necessarily having enough margin to put it where we need it on the quality of the golf course. Matt: Well that's excellent. I guess I got two last questions here, but I just was reading that Tiger, and DeChambeau, and Mickelson were just recently captain picks. Paul Armitage: Any prediction on who wins? Paul Armitage: Oh, come on, I can't believe you're asking me that. Of course Europe will win handsomely. I think they'll win 15 to 13 this year. Paul Armitage: I think it will be a very tight match. No, I can't say. The American team is the strongest that I can remember, and it's an amazing team. The good thing about the team is not necessarily just Tiger Woods, but also the fact that they do have a team, they really have got their act together since the task force story, and since Gleneagles, and all of the public disgruntlement between Mickelson and Tom Watson, whatever. Things have moved on in a very, very positive way. The states have been able to build that team. I do think that they have a stronger team on paper. The advantage here will be two things for Europe is one, all of the players know the golf course extremely well because they've been through the gates and played it many, many, many times in French Opens. The PGA Tour players and whatever. And the public will be behind them. Secondly, if you take a look at the European team as far as, for example, world ranking points, that team has never been stronger before either. You might have the power and the muscles, but I think we've got the local knowledge and the brains. Paul Armitage: How about that? Matt: Yeah, well, you've said it now. That's great. Well, fantastic. I guess, yeah, if anybody wanted to reach you, how could they go about doing that? Paul Armitage: With pleasure, just hop onto our website, www.LeGolfNationale.com, all attached. On there you've got a staff area, and you can find my email in there. Matt: Fantastic. Well, thank you so much for joining me today. I know you're a very busy man and I really appreciate this, and I wish you all the success. I'll be rooting on from here for the Europe team. I greatly, again, appreciate your time. Paul Armitage: Thank you Matt for having me on your show, and wishing you all the best on the other side of the Atlantic for what's going to be an amazing Ryder Cup, it's an amazing facility here, and site, you'll love it, and the players will love it, and it's going to be one of the most exciting. Go Europe, and let's beat [inaudible 00:26:04]. Thank you. Matt: Right on, take care. Bye.